We are known by our artisan way of making bread. We respect the traditional bread making method with long fermentation times. Like all good bakers, Granier has a way of making bread, which respects traditional methods and long fermentation times. 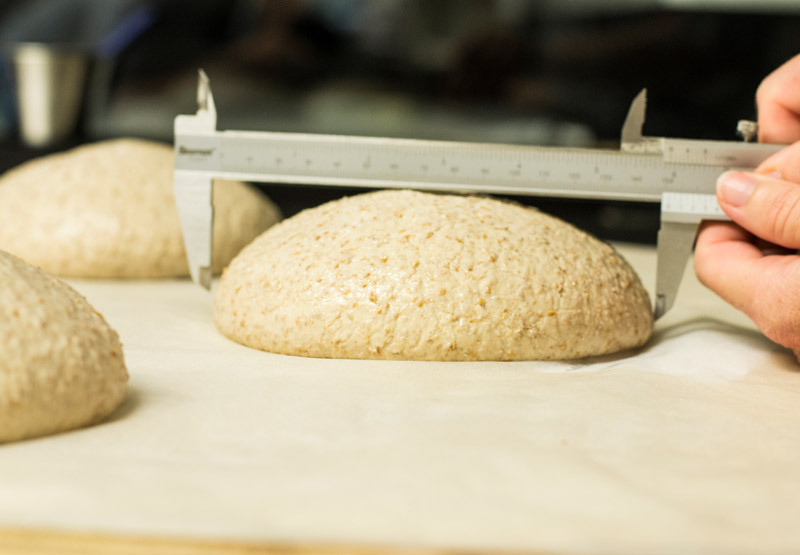 The secret to the quality of our bread lies in the selection of raw materials and the dough fermentation, respecting the times needed for the bread to gain the right strength, taste and aroma and to ensure that it keeps well after baking it. Respect for traditional bread-making is of utmost importance to us. This is where the unique artisanal recipes with the best ingredients begin, and where our bakers make the mixture and knead the dough every type of Granier’s bread. The baker’s job is given a prominent role at each of the Granier’s stores. 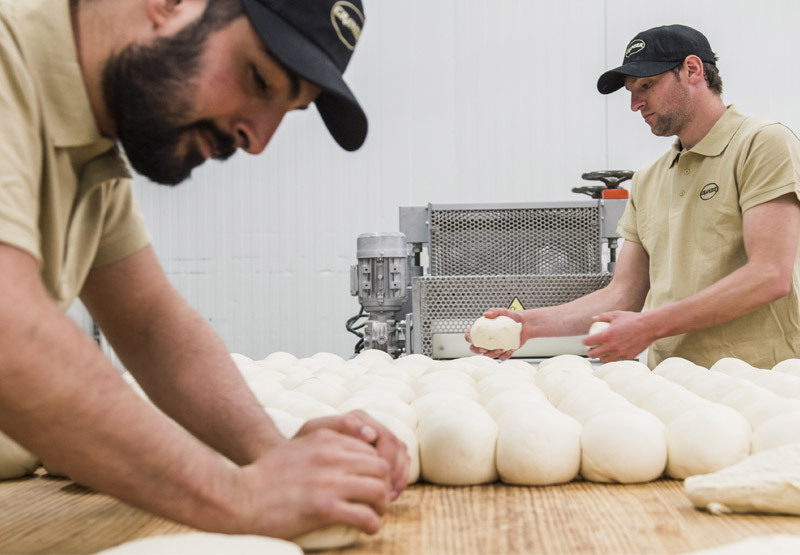 Bakers are artisans in the art of making bread, early risers to allow us to enjoy fresh-made bread every day. At Granier we know what good bread needs the most: Time. Long fermentation makes it possible to develop the aroma, taste and texture making the best artisan bread. That is why all our bread is fermented for more than 12 hours. The different ways of baking the varieties mean that Granier customers are guaranteed to always find fresh-made bread in our stores, whether it’s morning or afternoon. Our bakeries also feature a wide range of natural baked goods, sweet and savoury pastries. 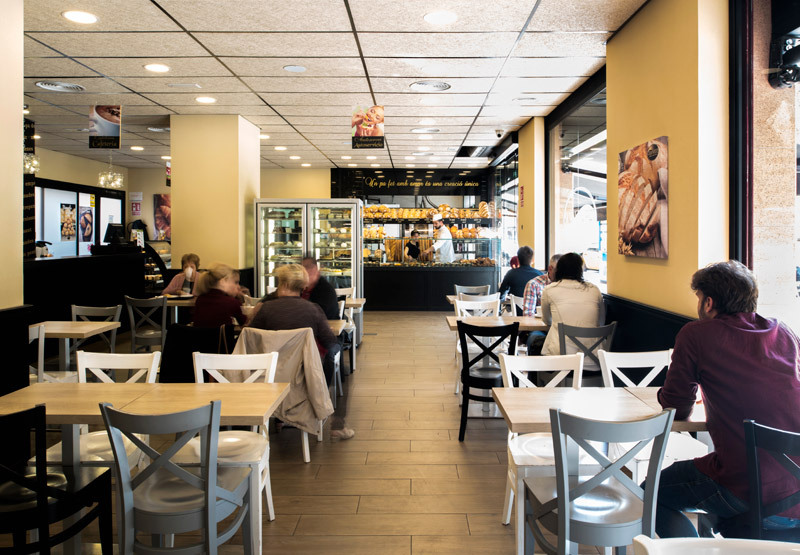 Our bakeries are comfortable cafés with a traditional bakery feel where you can enjoy our artisan homemade products: sandwiches, salads, soups, sweet and savoury treats, quality freshly grounded coffee and fresh juices. Our freshly baked produce is on display on large counters, exclusive wooden bread baskets show our wide range of bread and our black colour tiles on the walls is a company’s hallmark. Our aim is for customers to feel they are wrapped in a world of sensations when they enter one of our stores. Without excessive decoration or distractions to detract from the display of the magnificent bread and pastries in an enormous variety of sizes, colours and flavours.